The Mineral Resource Authority is focused on implementing an old and outdated national strategic plan that was based on a discredited economic strategy. 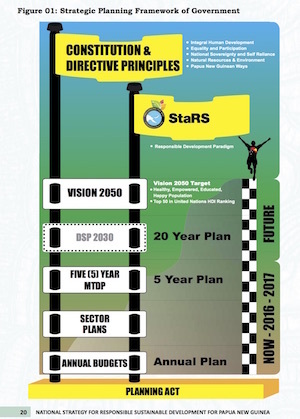 While the government, led by the Department of National Planning, is focused on the implementation of the National Strategy for Responsible Sustainable Development (StaRS), which calls for a reduction in our dependence on resource extraction in favour of a sustainable, people friendly economy focus on agriculture and local industries, the MRA says it is still working to implement the old 2010 Development Strategic Plan that called for a doubling of revenues from the mining sector by 2030 [see story below]. This was inline with one of the 78 key priorities identified and agreed on in the Alotau Accord at the formation of the O’Neill-Dion government after the 2012 election – a review of the current Development Strategic Plan – and one of 16 major activities identified by the government in the 2013 National Government Critical Activity Matrix. As a result of the review, StaRS was published in January 2014, with the full endorsement of the Prime Minister and NEC. 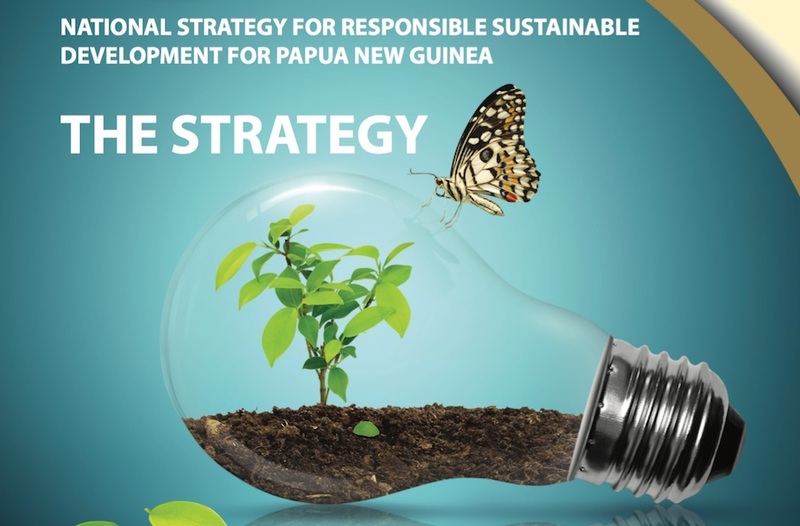 StaRS provides a blisteringly critical denunciation of the old DSP, with its emphasis on large-scale resource extraction and export growth which has failed to deliver tangible benefits for most people in PNG while causing widespread environmental destruction, war and community breakdown, and which was completely at odds with the Constitution and National Goals. The Prime Minister says StaRS represents a “revision of our long-term plans” – but it seems someone has forgotten to tell the MRA! THE Mineral Resources Authority says it has responded favourably to plans by the Government to double revenue levels from mineral receipts by 2030. The average mineral revenue between 2013 and 2016 is around K8.15 billion. The Government’s medium development plan of 2010 challenged the mining industry to double the mineral receipts by 2030. MRA in a statement said to help achieve that, its geological survey division initiated several survey programmes across the country. The objectives are to update existing mineral occurrence data and obtain new data to boost mineral exploration. These data sets are important to lure potential mineral investors into the country. Under normal circumstances, geological mapping for mineral occurrence is done by exploration companies. But the Government has decided to do this on its own. MRA executive manager for geological survey division Nathan Mosusu said during the Mining and Petroleum Investment conference last week in Sydney that they had so far surveyed and mapped out areas including Wau/Biaru in Morobe, Yule, Wasa and Kubuna in Central, and Kokoda , Northern. Mosusu said MRA carried out an aerial geophysical survey along the western part of the country between Ok Tedi and Frieda mines. Other areas surveyed include Kainantu and the New Guinea Islands region.